Speed transactions and make operations more efficient. 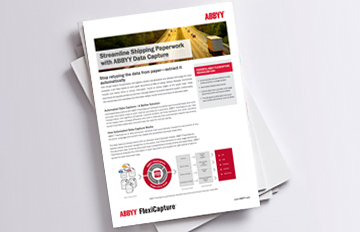 ABBYY document capture and form processing solutions automatically extract business-ready data from paper, facilitating transactions and increasing visibility into business processes. Increase the efficiency of document flows. 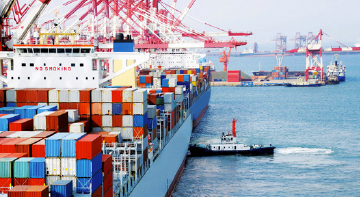 Fast and highly accurate recognition of shipping instructions, waybills, receipts and orders for identifying cargo. Automatic classification and validation of data from Bill of Lading line items, Certificates of Origin, Commercial Invoices and more. Swift invoice processing for accurate and timely payment of suppliers’ invoices. Capture and submission of Delivery Receipts and signed Bills of Lading via mobile phones. Swift capture, processing and digital archiving of all necessary documents for trucks, trains, ships, airplanes and their components. Stop retyping the data from paper - extract it automatically with ABBYY Data Capture solution. Timely capture of proof of delivery provides transparency and awareness of when goods are delivered, lowering operational costs by up to 28%. Initiates billing processes from delivery persons’ mobile phones through automatic capture of delivery receipts via mobile camera. Provides signed copies of delivery documents in real time along with a shipper or receiver of goods via existing electronic systems. Automatically extracts tariff and product information for every line item in a shipment, saving time and eliminating errors. Exports data from automatically processed documents to electronic systems for filing via the Automated Broker Interface (ABI). Validates captured data against existing databases and business rules to ensure their integrity, enabling operators to focus on dealing with exceptions. Streamlines invoice processing in your AP department to improve forecasting, budgeting and grow business without adding headcount. Helps maintain good relationships with suppliers by enabling timely and accurate invoice payment. Captures invoice data with line items; matches them to POs and packing slips for automated validation and payment. Award-winning OCR technologies that convert images and photographs into electronic text. Intelligent data capture and classification technologies for extracting data from forms and documents of virtually any type and complexity. 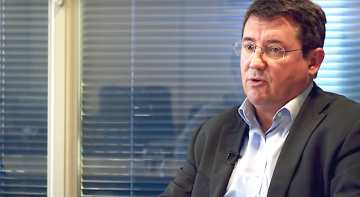 With ABBYY FlexiCapture e-docs UK processes 100,000 Proofs of Delivery a week for NFT Distribution. Large logistics provider in Dubai processes up to 100,000 custom documents daily with 3 operators instead of 30. 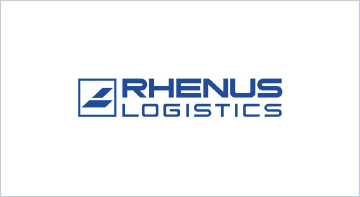 Shared Services Center of the global logistics service company Rhenus capture invoices and other documents with ABBYY solution. Learn more about ABBYY products that power ABBYY solutions for Transportation and Logistics. Easy-to-deploy yet powerful and scalable OCR and PDF conversion software for organizations of any size and industry.